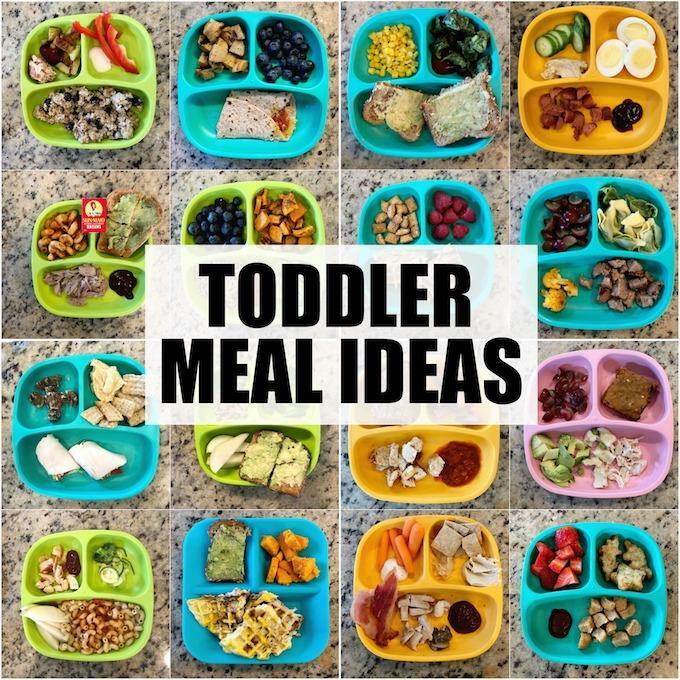 These simple Toddler Meal Ideas are simple, healthy and easy to assemble. 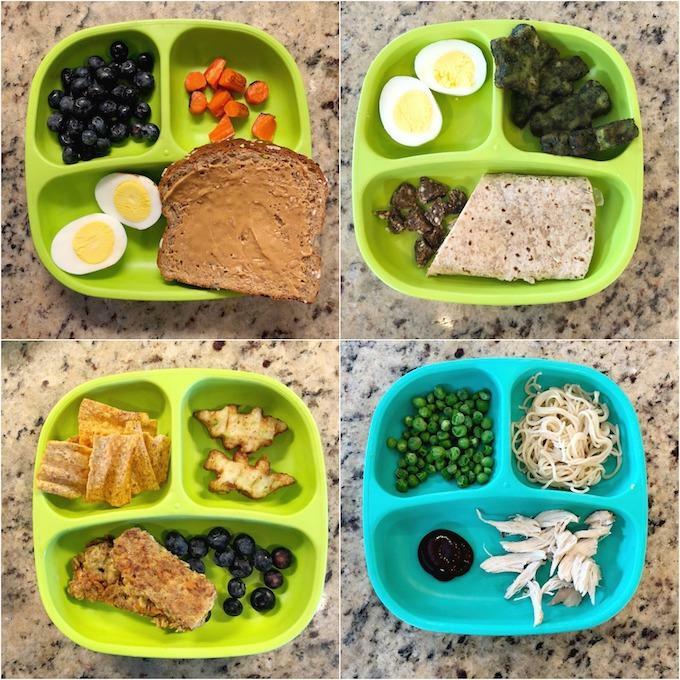 Use these ideas to introduce your toddlers to new foods, help picky eaters and make meals more enjoyable for everyone. 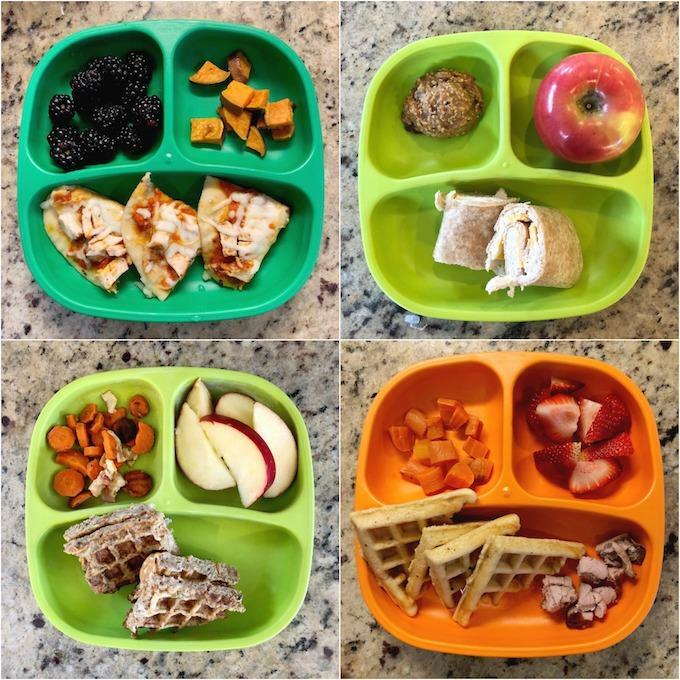 Time for another roundup of simple toddler meal ideas! It’s been over 4 months since I shared my last roundup. Hard to believe isn’t it?! The months are just flying right by. 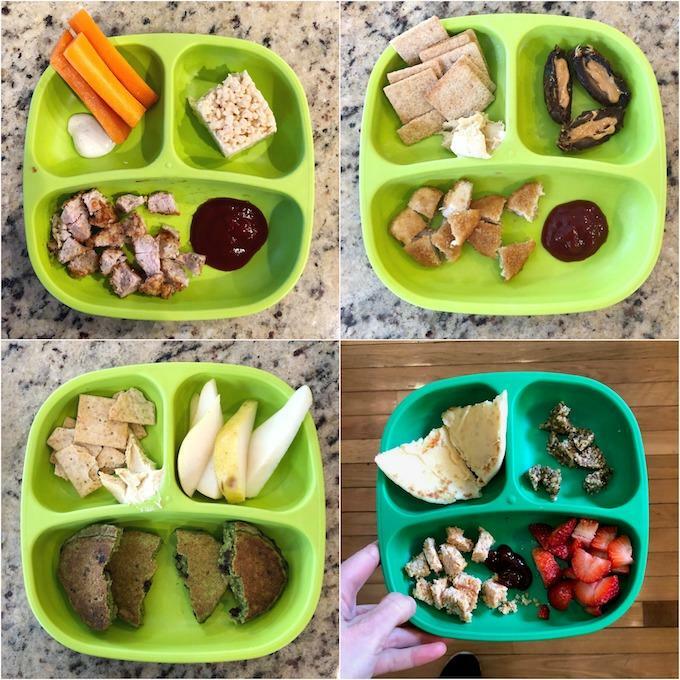 I’ve been sharing Squish’s meals since he was about 18 months old and he’s now 3.5 years old! 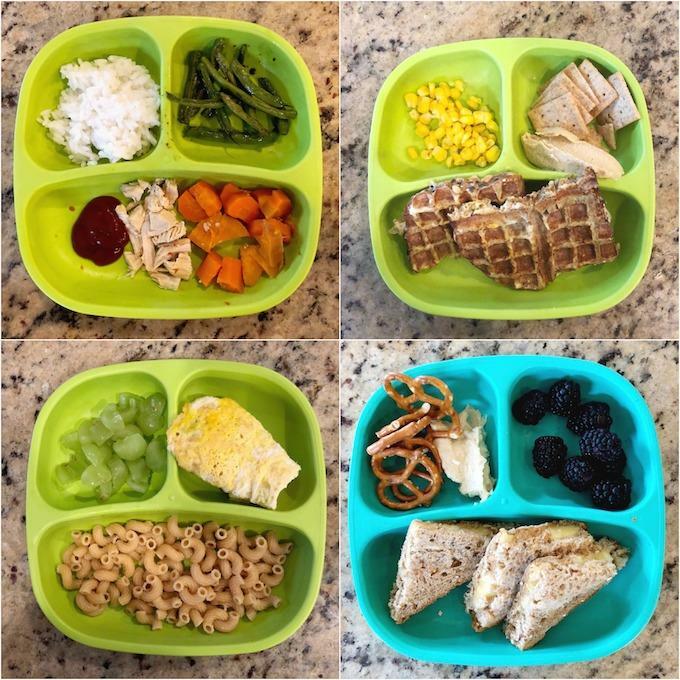 And Little miss is almost 18 months so some of these meals belong to each kid. 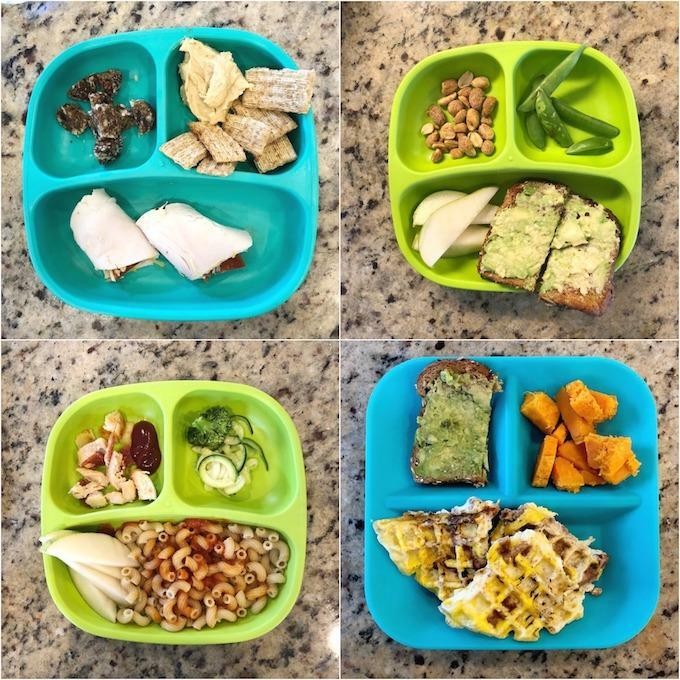 Important note because someone always asks- the plates are from Re-Play Recycled. (affiliate link) They’re our favorite. I just bought the rainbow 12 pack AND some of their bowls, which I also love. 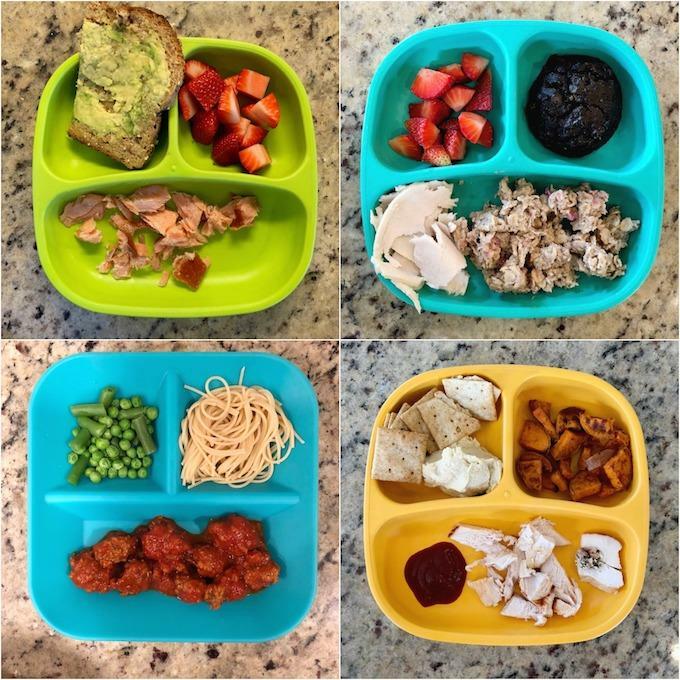 I try to judge how my kids are eating by looking at the big picture. 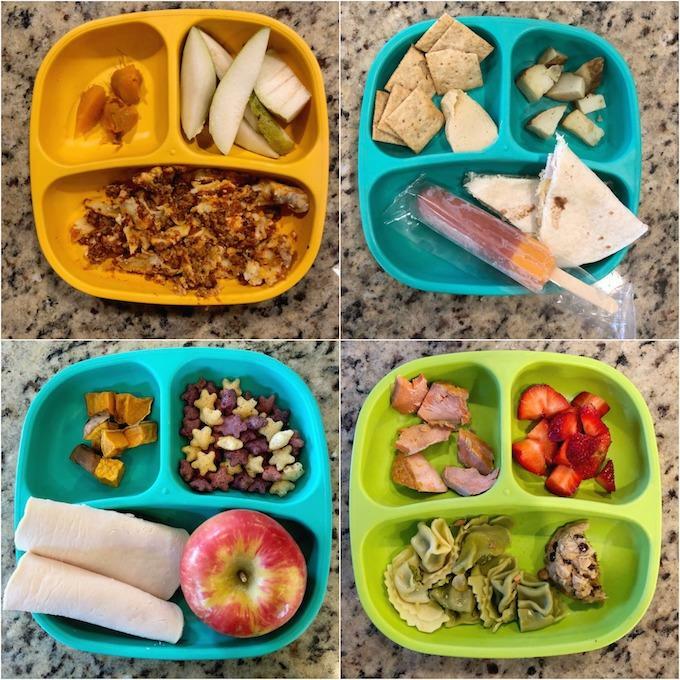 If they don’t eat one meal, they’ve likely either eaten well at 1 or 2 of the other meals, or had a few too many snacks that day. And if they haven’t, then they’ve usually eaten fairly well the day before or will the day after. 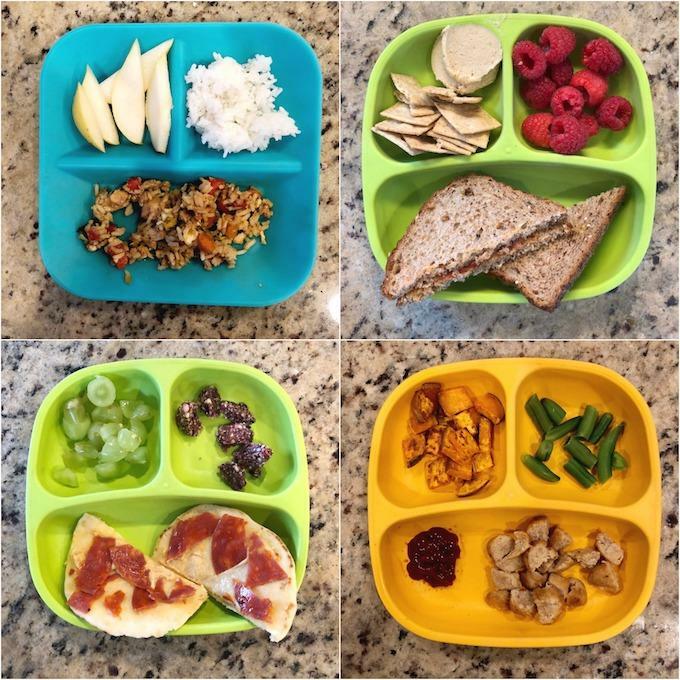 There are repeat items and the kids definitely have their favorites, but hopefully some of the pictures will spark some ideas! 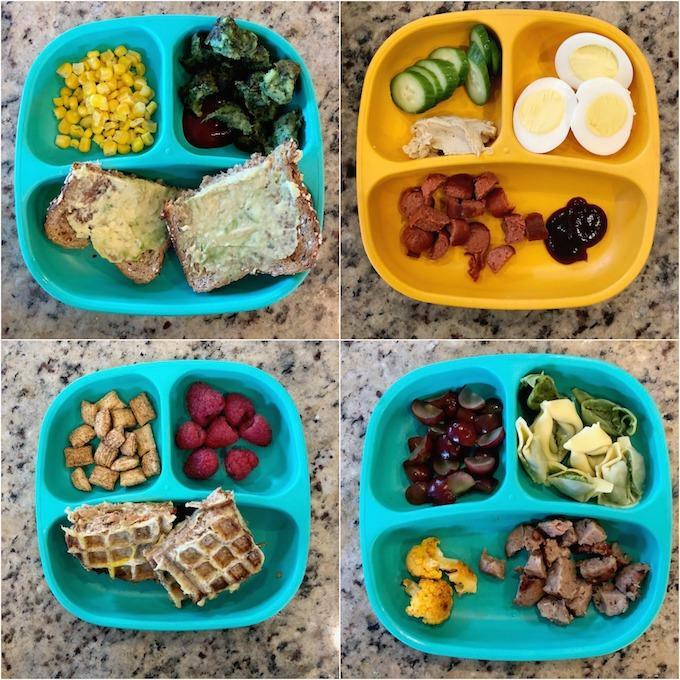 Feel free to sub other fruits and veggies based on whats in season, child preference and chewing ability, etc. This is just meant to give ideas. 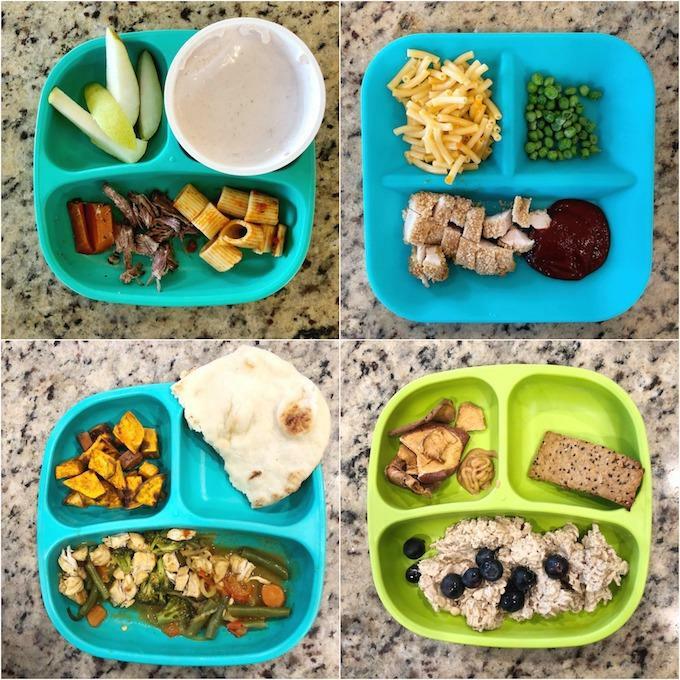 All kids eat different amounts and varieties. No, they do not always eat everything I serve them. If you want to see daily before and afters, be sure you’re following me on Instagram and watching my stories! 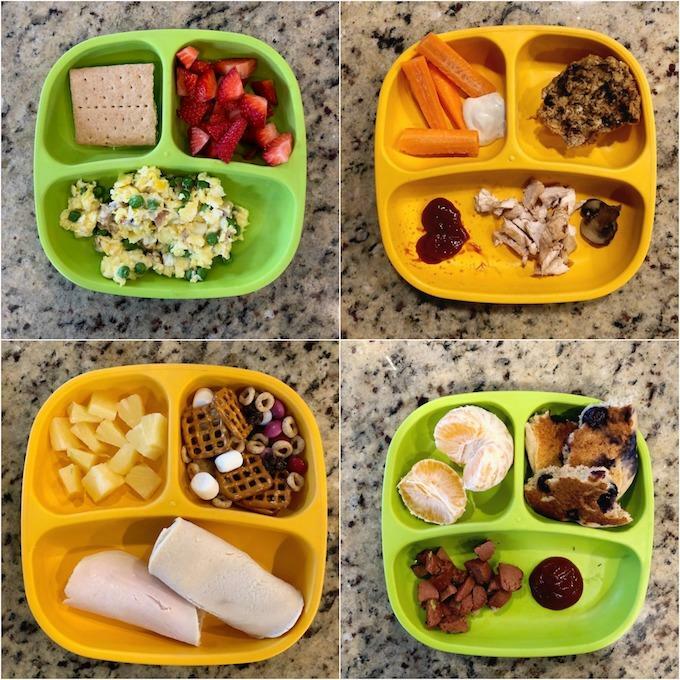 And that’s it for toddler meal ideas today! 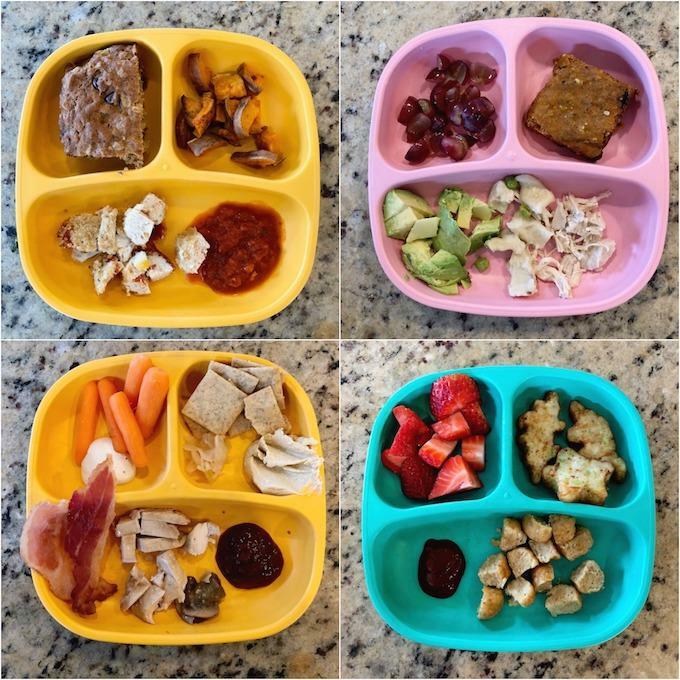 If you’re interested in my feeding philosophy, check out this post on Why My Toddler Doesn’t Always Eat What I Eat. I also have two ebooks for sale that you might enjoy: The Ultimate Guide to Food Prep and How To Cook Dinner on the Fly. I really enjoyed this post. 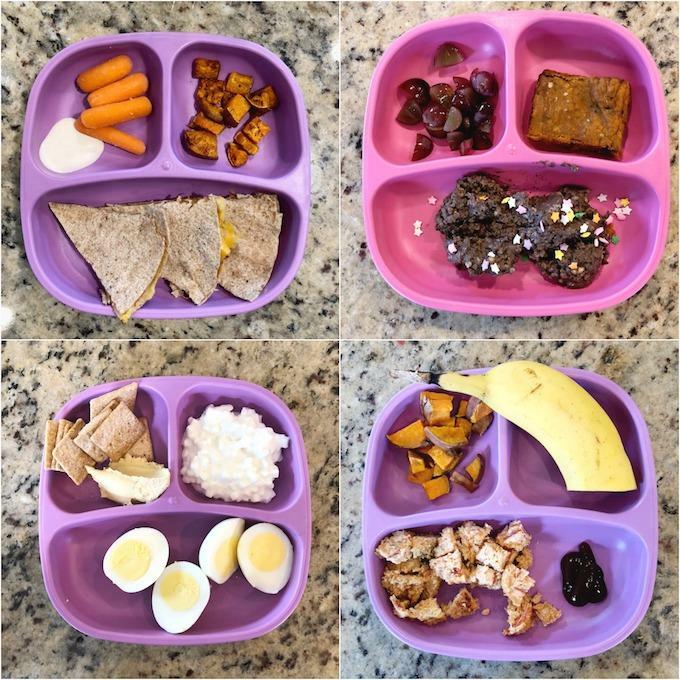 I don’t have any kids, but…I am always looking for inspiration for my lunches. I like to prep & take my lunch to work. 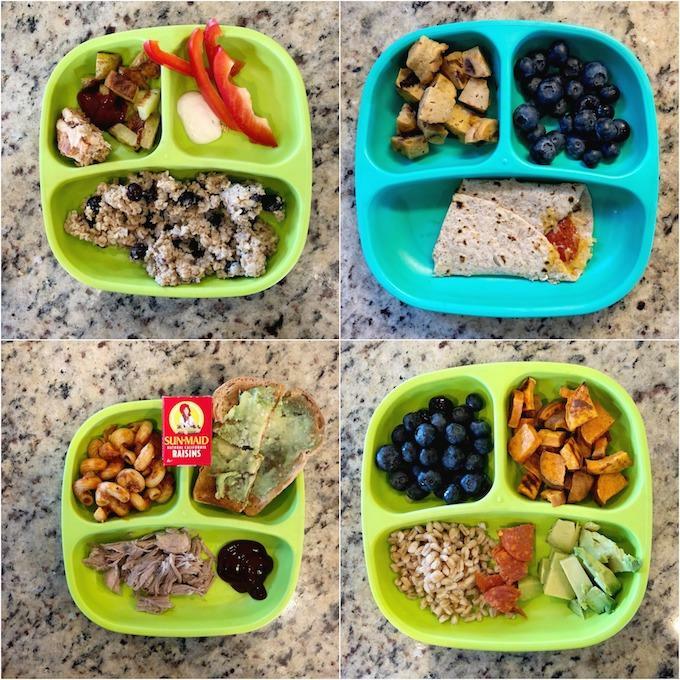 I find these little lunches very easy to eat while I am working and they are not complicated to prepare!